“Charity is the long march, and forever has no end. 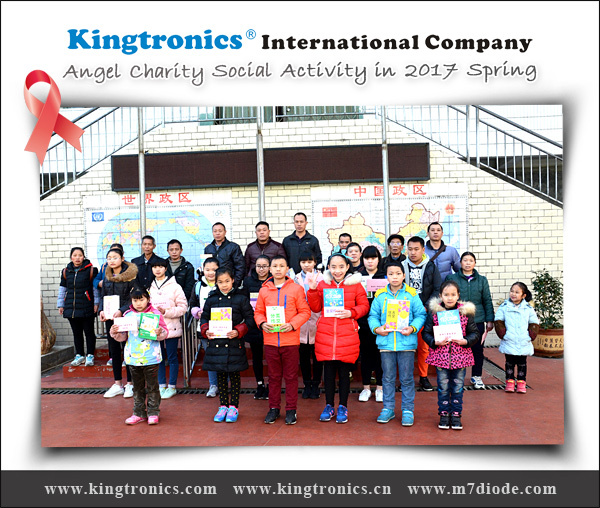 But charity is not suffering the long march, but happy long march.” In 2017 spring, Kt Kingtronics angel charity social activity will be continued. Kingtronics team members will arrive at Guilin province. We bring some books, stationery and some funds for lovely children who are in need. We hope through these activities can make the lives of these children better, give them some happiness. Kt Kingtronics will insist on participating such meaningful things so that more people will get help. We warmly welcome you to join us, just send your email at info@kingtronics.com. We look forward to your participation.